Cherries Holiday Home is an Edwardian property. 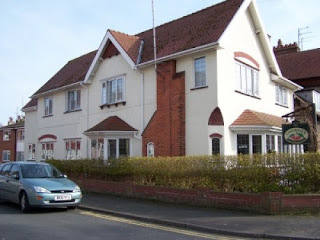 It offers spacious self catering accommodation within the seaside town of Filey. The town is ideal for any family holiday as it is full of interesting things to do and plenty of amenities. There are train and bus stations just a 10 minute walk away. The holiday cottage has 2 living areas. One has a TV and the other is a quiet area ideal for chatting or reading. There is also a den area which has a TV, DVD player and PlayStation. The kitchen is large and fully equipped. It has 2 ovens with built in grills, 5 ring halogen hob, extractor fan, microwave, large fridge, large freezer, dishwasher, kitchen table and 4 chairs. There is a separate dining room which can seat 12. This room has a radio with docking station. 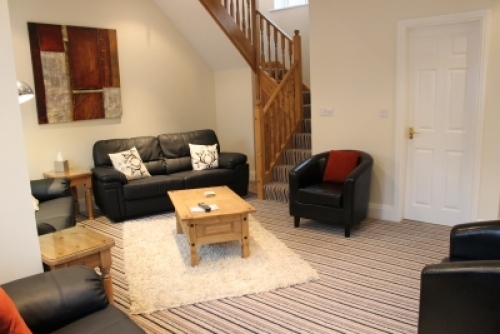 The area surrounding the self catering home is ideal for walkers and cyclists. Plenty of attractions can be found in Filey to keep the whole family entertained, including the award winning beach and Filey Museum. There is also Filey Bird Garden & Animal Park and Scarborough Fair Collection close to the house.